Candy Planning: Everyday & Summer Seasonal show held Aug. 13-17 at the Rosen Centre Hotel attracts new industry participants. ECRM hosted its annual Candy Planning: Everyday & Summer Seasonal event Aug. 13-17 at the Rosen Centre Hotel in Orlando, Fla., where new and previously attending manufacturers showcased more than 100 new, innovative products. 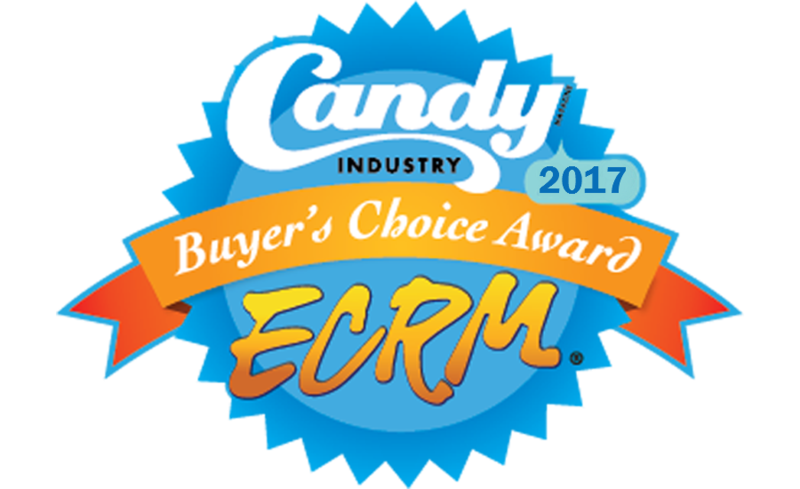 No Everyday & Summer Seasonal event would be complete without the Buyer’s Choice Awards, sponsored by Candy Industry Magazine and ECRM. Participating candy companies submitted new products for retail buyers to taste. The buyers also voted for their favorite in each of three categories: Chocolate, Non-Chocolate and Novelty. Creamy and decadent on the inside with a punch of crunch on the outside, these poppable truffles come in a variety of flavors including Caramel Turtle, Chocolate Silk, Mint Chocolate Cookie, S’mores, Key Lime and Strawberry Cream. These USDA organic-certified fruit chews are available in three sophisticated flavor duos: Italian Tarocco Blood Orange and Wildflower Honey; California Pomegranate and Sweet Freestone Nectarine; and Meyer Lemon and Raspberry. Like the original Baby Bottle Pop, consumers can dip a baby bottle-shaped lollipop into sweet powder, but in this product, the powder offers a mouth-tingling pop. They’re available in four flavors: Blue Raspberry, Strawberry and Watermelon. Alyse Thompson worked as an intern at Candy Industry Magazine in summer 2012. She joined the staff full time as associate editor in August 2016 after a few years at newspapers in West-Central Illinois. She has a bachelor’s degree in journalism and Spanish from Western Illinois University.